Daljit Nagra: Chris Beckett’s poetry is highly original in the way it simultaneously works with two sharply distinctive traditions in a uniquely engaging style. Fred D’Aguiar: There is a drive to these poems, a quality of song, a fresh simplicity that neatly sidesteps sentimentality though replete with longing, a feel for the past. Helena Nelson: These poems are not translations; they were conceived and written in English. But they have the feeling of translation - their success at capturing another country infects the language, form and phrasing. It works, it really does. Steven Waling (Elsewhere, A Review of Contemporary Poetry, 26 Feb 2014): "A different sound world": It’s not often that one reads a book of poetry which brings a different music into English poetry; but Ethiopia Boy does just that. The African praise poem is not much appreciated in England; but Chris Beckett, who spent his formative years in Ethiopia, has managed to make use of it in a very supple, subtle way to talk of his childhood and the country he knew then. Beth McDonough (University of Dundee arts website DURA): .....typography is showcased wonderfully in the expansive shape poem “Sticks” – the most ordinary of subject-matter made extraordinary. There are so many poetic forms and devices in this collection: list poems and laments, curses and praises, descriptive verse and some very funny poetry indeed. 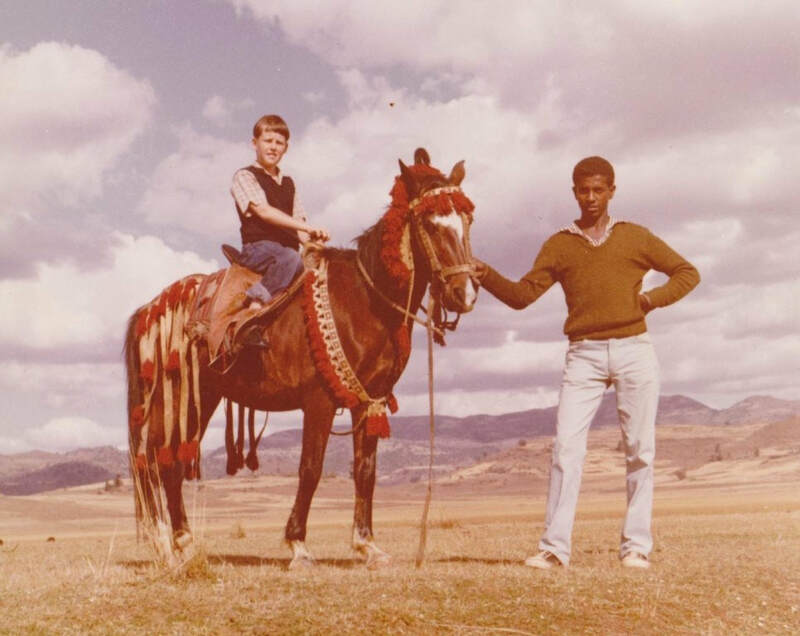 Hama Tuma in The Anglo-Ethiopian Society News File, summer 2013: Chris Beckett...grew up in the Ethiopia of the 1960s when I and many others were making our way into the university and to protest and rebel against Emperor Haile Selassie’s rule. Ethiopia was then, as it is today, a land of contradictions, of sumptuous feasts...and as Beckett notes in his poem The banquet, where “daytime beggars show us sores and stumps/ stick hungry babies under our noses”, a land of famine and injustice, of oppressed people stubbornly clinging to their pride and tattered clothes. Beckett has captured the spirit and soul of the land, the fatalism (“I am bad days coming and days that are worse than that”, To the man with a guzzler wife), and, yes, the romanticism and hope eternal of the ordinary Ethiopian....Langston Hughes lamented in his Afro-American Fragment: “So long, so far away, is Africa”. For Beckett, Ethiopia is here and now, in his memory, alive in his versatile poems, not far away and distant but near and vibrant. From Londongrip's review of In Search of Fat: The Poetry Parnassus gathering at London’s South Bank achieved a notable success at its very first event – a lunchtime reading on the QEH roof garden – by introducing the Ethiopian poet Bewketu Seyoum. Along with his co-translator, the British poet Chris Beckett, he performed a remarkable set of poems, mainly chosen from his first English chapbook In Search of Fat....This chapbook is itself like a small glinting piece of gold and Flipped Eye are to be congratulated on producing it. Bewketu Seyoum is well known as both a poet and a novelist in his own country; but until now his appearances in English-language publications have been limited to magazines. It is to be hoped that In Search of Fat will prove to be the first of many British book publications.